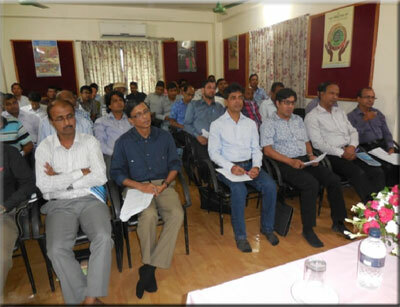 It has been planned to organise a two day long six divisional workshops with a view to determining the annual work plan and target under the “ENRICH Programme” of Palli Karma-Sahayak Foundation (PKSF). ‘Union Coordinators’ from 143 unions and ‘Chief Credit Coordinators’ from 110 partner organizations will be participated in these divisional workshops. 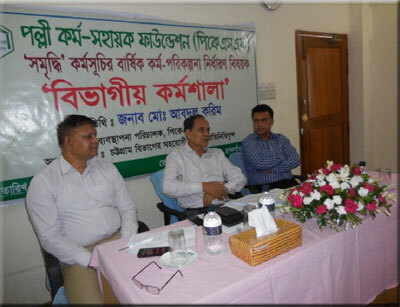 In the meantime Chittagong divisional workshop is held in participation with 20 partner organisations working under “ENRICH Programme” in Chittagong Division from 23-24 July 2015. Mr. Abdul Karim, Managing Director, PKSF inaugurated the workshop as Chief Guest. The progress of 20 partner organisations in implementing the “ENRICH Programme” was reviewed in the workshop. Moreover, the participants from the partner organisations were provided with necessary directions and advice to implement the “ENRICH Programme” in the FY 2015-2016.